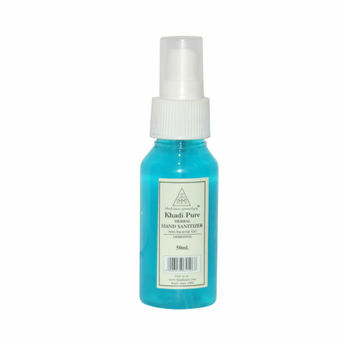 Khadi Pure Gramodyog Herbal Hand Sanitizer exterminates 99.9% of germs instantly, without the usage of water. You can use it wherever you are, on the go. Give your hands that refreshed feeling. Use it whenever necessary. Explore the entire range of Hand Sanitizer available on Nykaa. Shop more Khadi Pure products here.You can browse through the complete world of Khadi Pure Hand Sanitizer .